Samsung has announced to launch a Samsung Foldable Smartphone in 2018 under its Galaxy Note brand. Koh Dong-jin, president of mobile business at Samsung Electronics said in Seoul on Tuesday, 12 September that our aim is to release a device with a foldable display in 2018 and Samsung is all set to unveil its first foldable smartphone. Koh also highlighted that there are several hurdles which we have to overcome before making it available in the market.The company has been trying to make foldable displays for in the past few years, but maybe a new advancement has made the flexible devices possible. Mr Dong-jin revealed Samsung’s ambitious plans about launching Samsung Foldable Screen Phone during a media day for Galaxy Note 8 in Seoul today. He did not elaborate what the problems are, but analysts said that it will take time to launch a bendable OLED screen phone with top tech features and a thin body. 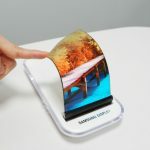 Samsung has been teasing us with a foldable mobile for some time.Successfully launching a folding smartphone would be a big turnaround for Samsung’s Galaxy Note series.Koh Dong-jin further said we will launch the phone will only launch only if it is completely ready and all the features work properly. Samsung foldable smartphone devices would let users fit the device in a normal pant or a shirt’s pocket and they can fold and unfold them when they want. 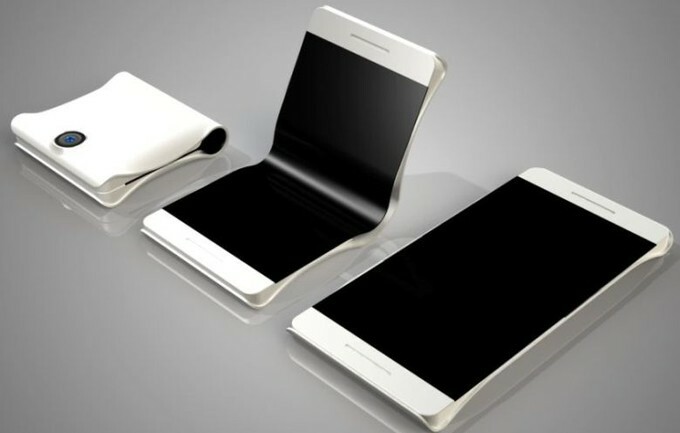 Samsung is expected to release the Samsung Foldable Screenphone in January next year.For more information click on this video.